This course introduces you to the basics of HTML and Cascading Style Sheets (CSS), the most fundamental technologies in creating web pages. After attending this course, you will know how to create web pages that can be used for both desktop and mobile devices. You will also be introduced to software tools professionals use to create professional looking web pages. Those wanting to create professional looking web sites for desktop and mobile use. You should be comfortable using a computer. Programming knowledge is an advantage, but not required. "The course was organized in such a way that the students with no programming background like me will still understand." Engineer, Toshiba Information Equipment (Phils. ), Inc.
"The instructor properly and clearly explained the topics and has improved my knowledge greatly during the duration of this training." "The course really helps a lot on my part because it gives me new inputs and knowledge, especially the updates and the latest lessons that are available in the industry." "Very informative and would encourage you to continue to the next level." 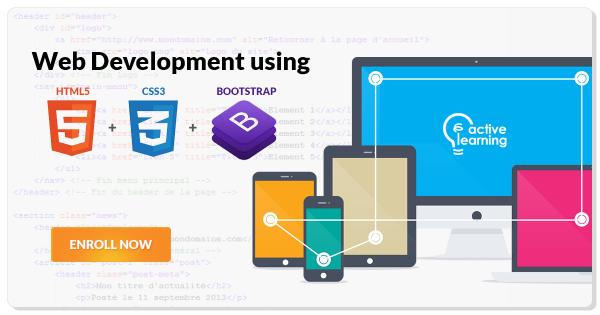 "The course has answered all my questions on web development. "